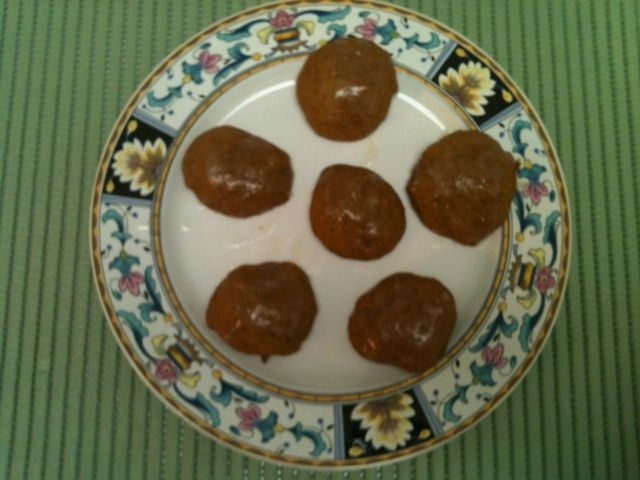 If you need an easy treat to celebrate Halloween, try this Pumpkin Spice Cookie Recipe. There are no Tricks for these Treats. Combine flour, baking powder, baking soda, cinnamon, ground cloves, and salt. In a separate bowl mix butter and sugar. Add pumpkin, egg, and vanilla to butter mixture. Beat until smooth and creamy. Mix in dry ingredients. Cover cookie pan with parchment paper. Use tablespoon to drop each cookie on cookie pan. Flatten slightly. Cook in preheated oven for about 16 minutes. Mix confectioners' sugar, milk, butter and vanilla. When cookies are ready, cool then add glaze. Decorate as desired with glaze.